The Talent in Logistics Conference and Awards is the must-attend event for HR, L&D and operational professionals within the logistics sector to share best practice and knowledge, as well as recognising and rewarding talented individuals, teams and organisations within the sector. One of the best ways of getting involved is to become a sponsor, whether that be through sponsorship of an award category, conference theatre, info zone or drinks reception. Showcase your business, investment and commitment to people in logistics, and the employment opportunities you offer and make your business the destination of choice for the sector’s top talent. Demonstrate your greatest competitive advantage – your people! As this is the only event dedicated to the recognition of people, and learning development across the sector, by getting involved with the Talent in Logistics Conference and Awards, you are showing the industry and your competitors that you value your people. After all, they are your biggest asset. 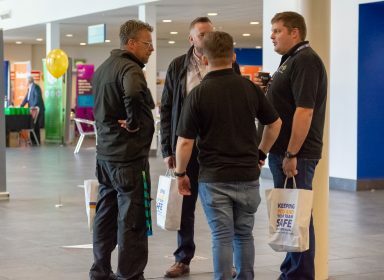 Through sponsorship, your brand will be seen by hundreds of decision makers from across the transport, logistics and warehousing sector, as well as raising your profile amongst your peers. 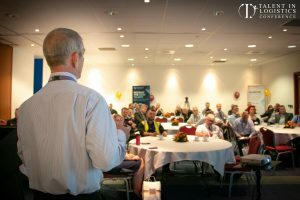 The 2018 Talent in Logistics Conference and Awards attendees included operations directors, commercial directors, distribution managers, transport managers, training managers and health & safety managers. Reinforce brand perception, influence customer behaviour and associate your brand with excellence, no matter what your budget is. Promotional opportunities include advertising, editorial, logo placement, social media, and more opportunities in the lead up, during and after the events. By promoting this to your customers you can demonstrate your commitment to training and development and why you’re a great brand to do business with. The Talent in Logistics event provides the opportunity to network with our sector’s most influential learning and development leaders, making it the perfect opportunity to showcase your business and your services. With the chance to reach a vast cross-section of logistics professionals before, during and after the Conference and Awards, this is a sales opportunity not to be missed! The networking opportunities, supported by branding across the event, place you front of mind for managers and directors looking to purchase the products and services you offer. Aligning your company with the Talent in Logistics event demonstrates your commitment to talent and training of the people in your business. Dedicated, hard-working employees can be difficult to find and retain, but showing that you value their work and their development will help boost loyalty. Increase your credibility and cement your position as a thought leader. 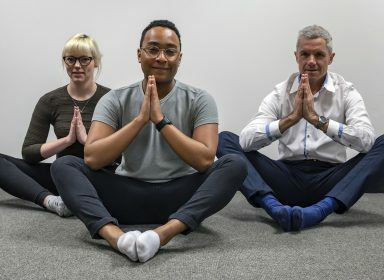 Our different packages include speaking opportunities, as well as opportunities to collaborate with us on a thought leadership piece, giving you a range of unique opportunities to demonstrate your expertise in learning and development, and attracting talent. 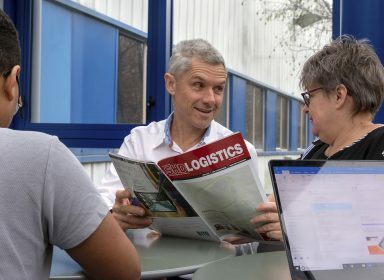 How do I get involved with Talent in Logistics? There are many ways to get involved, from the annual conference itself to the prestigious awards evening. Across our live competitions, individual awards and exhibition area, we can support the needs and objectives of your organisation. No matter which option you choose, you’ll get multiple opportunities for brand exposure. Packages can include an exhibition stand, promotion via the website, tickets to the event and inclusion on digital & print marketing. To get the best out of the event, we can also offer bespoke packages to best meet the needs of your organisation and what you are looking for, in terms of both exposure and budget. To find out more or discuss which package will be the best option for you, contact Ruth at ruth_edwards@capitb.co.uk or call 01952 520220.